Concorde Hotel Kuala Lumpur’s Snow Skin Musang King Durian Won StarMetro’s Award for The Best Durian Mooncake! This Mid-Autumn Festival, get Illuminated with Concorde Hotel Kuala Lumpur’s exclusive colorful lantern gift box and mooncakes for a joyous celebration with family, friends and business acquaintances. Lighting up the festivity, Concorde Hotel Kuala Lumpur is proud to present this year’s handcrafted lacquered lantern gift box with a fine finish. The lantern is gorgeous and makes a perfect decorative element for everyone while the mooncake series are handcrafted with much deliciousness by the Master Chef Ng Meng Loong and culinary team at Concorde Hotel Kuala Lumpur. 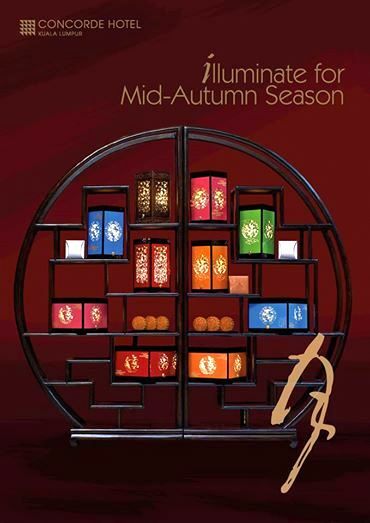 On showcase this year are 12 mooncakes with 10 Baked series and 2 Snow Skin series. Each baked mooncake are exquisitely made with various traditional filing such as Japanese Red Bean, Pure Lotus, Pure Lotus Single Yolk, Pure Lotus Double Yolk, Golden Pandan Pure Lotus, Golden Pandan Pure Lotus Single Yolk, White Pure Lotus, White Pure Lotus Single Yolk, Assorted Fruit Nuts and White Lotus Black Sesame. Besides enjoying these luscious mooncakes, one can choose the available lantern designed gift box with two designs and color choices of red, pink, green, blue, orange and a traditional wooden one with rabbit, bamboo motives die-cut. 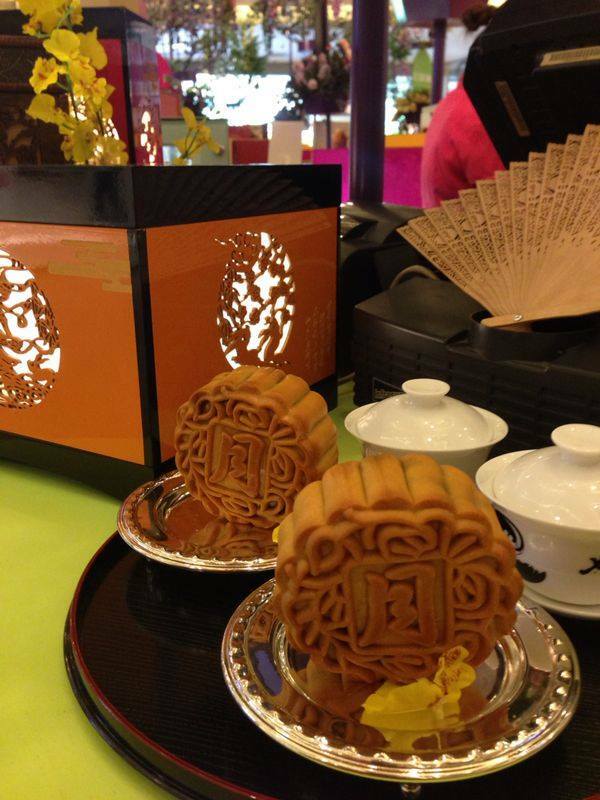 I chose a bright gorgeous blue lantern encased with luscious mooncakes. 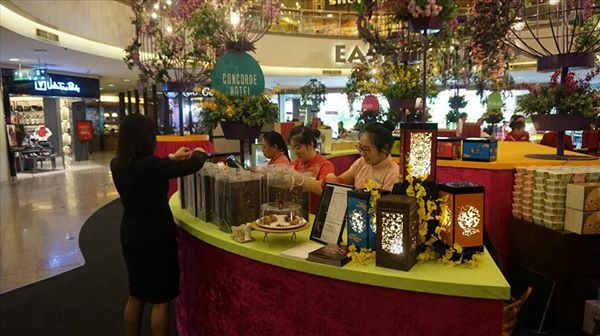 One can even purchase Concorde Hotel Kuala Lumpur’s mooncakes at Mid Valley Megamall (east lobby & east atrium, ground floor) from now till Sept 8. 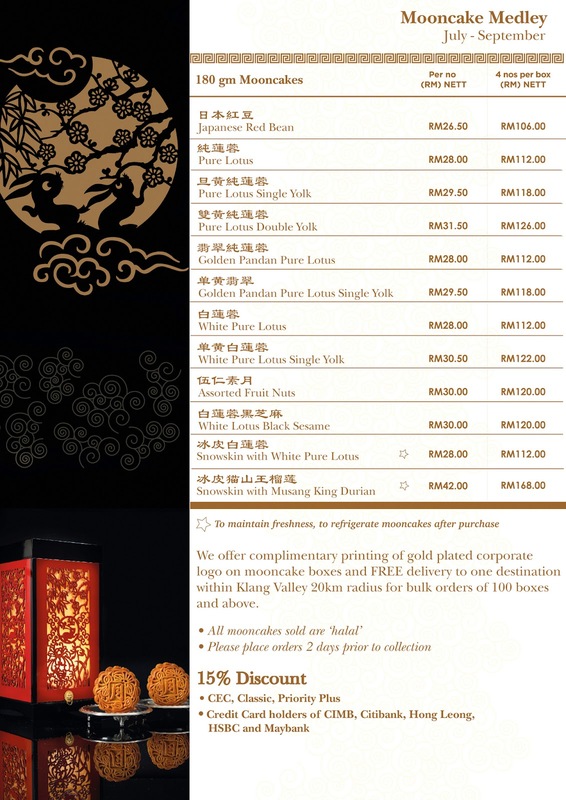 Mooncakes are priced between from RM106.00 nett – RM168.00 nett per no. Each lantern packaging fits four mooncakes (180 gm). 15% Discount offered for Concorde’s loyalty programmes – Concorde Entertainment Card and Priority Plus. Attractive discounts and complimentary delivery for bulk orders. Promotion is on from July 15 – September 8, 2014. 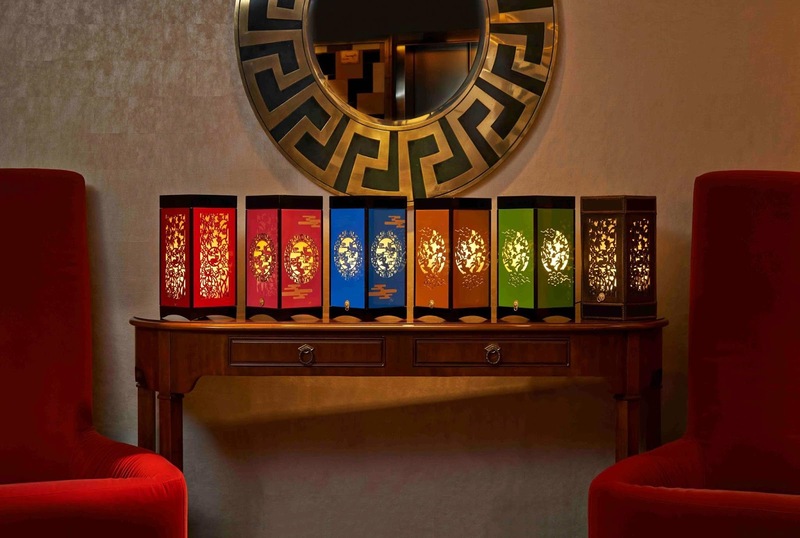 This year’s stylish mooncake kiosk which is located at the hotel lobby will give guests a closer look at the packaging. For more information and bulk orders, call 2144 8750.